If you're flying United, that means you're in Terminal 1. 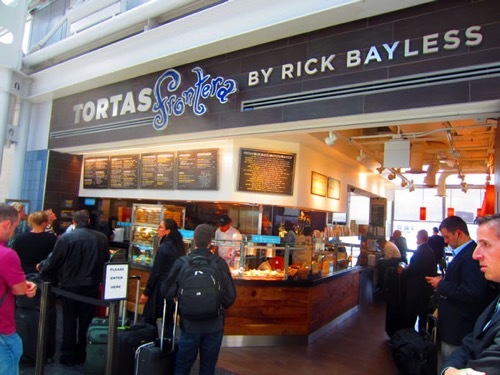 And that means the only place you need to know about for eating and drinking is Rick Bayless' Tortas Frontera, by gate B11. Fantastic Mexican sandwiches (for breakfast, lunch or dinner), great margaritas (for breakfast, lunch, or dinner), and... well that's it. But that's all you need to make your inevitable delay a lot more bearable. If you like it spicy, get the cochinita pibil torta and hang onto your hat. The best restaurant group in Chicago, One Off Hospitality (Blackbird, avec, Publican) finally opened a place at O'Hare, and it's fantastic. If you're flying out of Terminal 3, this is where you want to belly up. 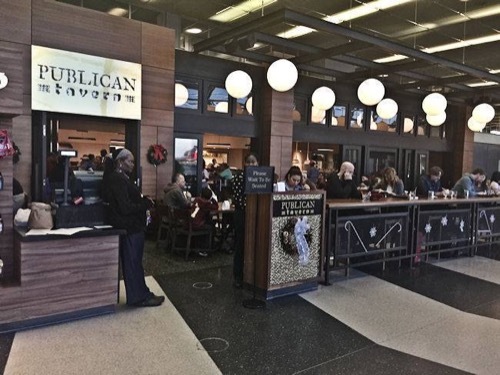 While the O'Hare outpost of Publican boasts a simpler, more approachable menu than it's Fulton Market district big brother, Publican Tavern is head and shoulders above anything else available at O'Hare.